*This post was sponsored by Carmex, but (as always!) all opinions are my own. Thank you for supporting the brands that make Lake Shore Lady possible! You guys already know that I’m a nerd at heart. I love to learn about where our food comes from and how the products we use everyday are made. So when I was invited up to Wisconsin to learn all about the new Carmex SuperCran Lip Butter, of course I said yes! 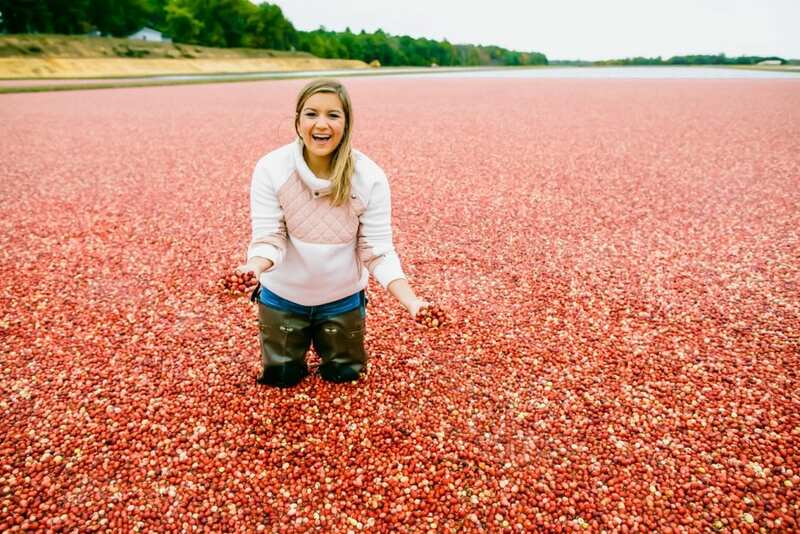 Not only is the product 100% natural and cruelty-free, but I could actually go IN a Wisconsin cranberry marsh? Umm hi bucket list item. YES PLEASE! I’ve personally been using Carmex my whole life. It was always in my house and we all used it when our lips inevitably got chapped in the cold winter months here in Chicago. Because of this, it was really fun to meet with the President of the company, Paul Woelbing, and chat about what is most important to him as Carmex evolves and grows. I also had no idea that it was a family-run Wisconsin-based company! Or that it’s been around since 1937! Amazing, right? 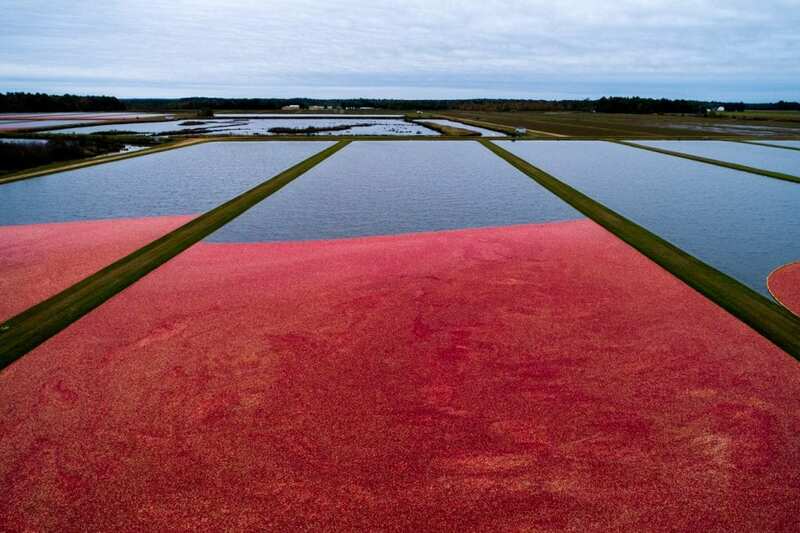 But… why were you at a cranberry marsh? 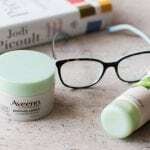 Their new product, SuperCran Lip Butter, is not only an awesome new natural formula – but it’s sourced directly from their home state of Wisconsin. 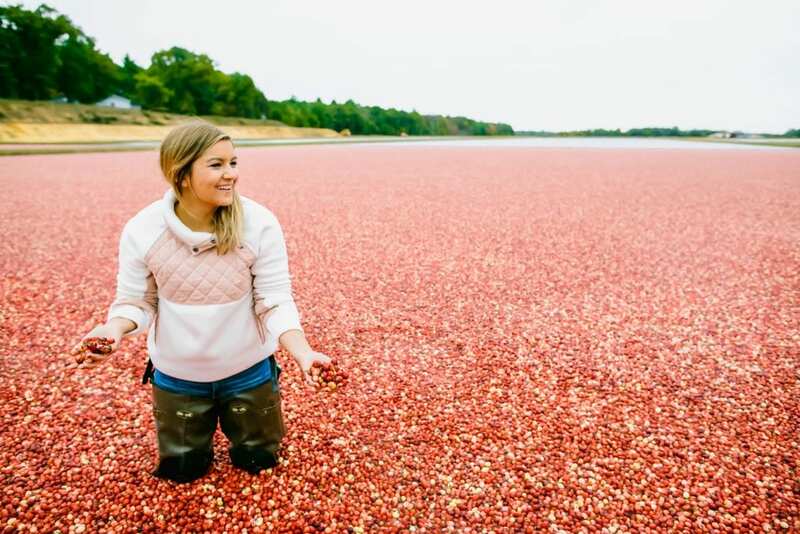 In fact, they use the seeds from over 300 Wisconsin cranberries in every single stick. Why? Well, the concentrated seed oil from cranberries contains vitamins, antioxidants, and Omega 3/6/9 to help hydrate your lips. 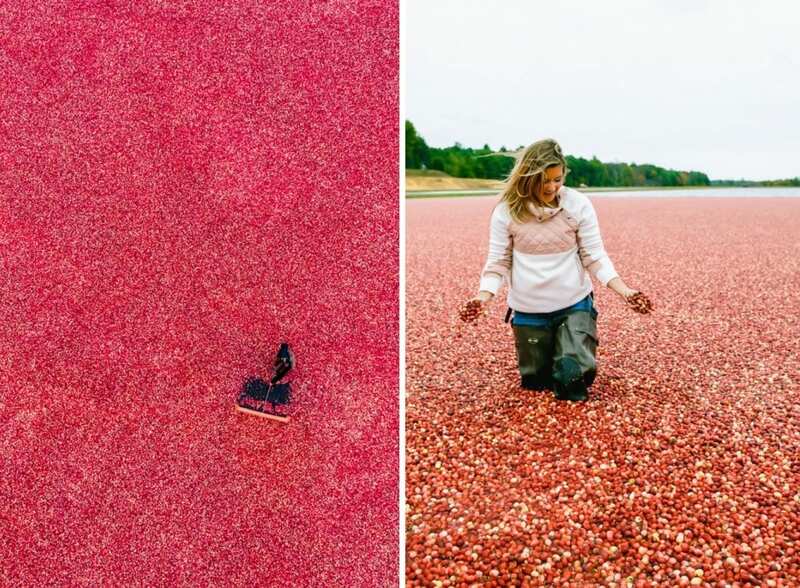 We hear so much about cranberry juice, but we rarely see anything utilizing the seeds. I think it’s so cool that this product is maximizing the use of this super fruit – and because of the cold-press process, it results in zero waste! Love companies that think about that stuff. And love the team at JDR Cranberry, LLC for letting us take a dip! I’m also a big fan of the fact that it smells good and it comes in a stick instead of a jar. 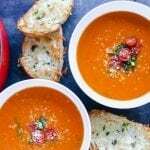 A few quick swipes absorbs super fast and feels moisturizing right away. When I say that one of these will be in every purse I own, I mean it. It’s also on my keychain right now, too ? Hey, winter is coming! 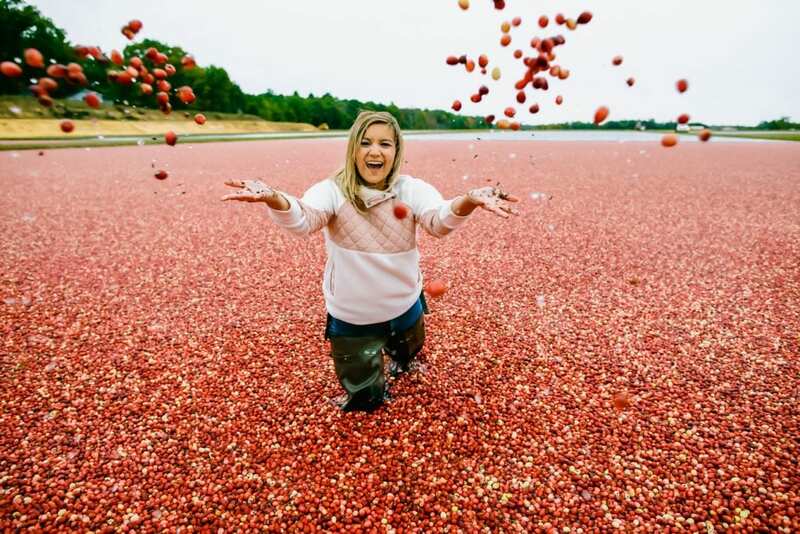 As for the cranberry bog itself, this was such a crazy once-in-a-lifetime experience. 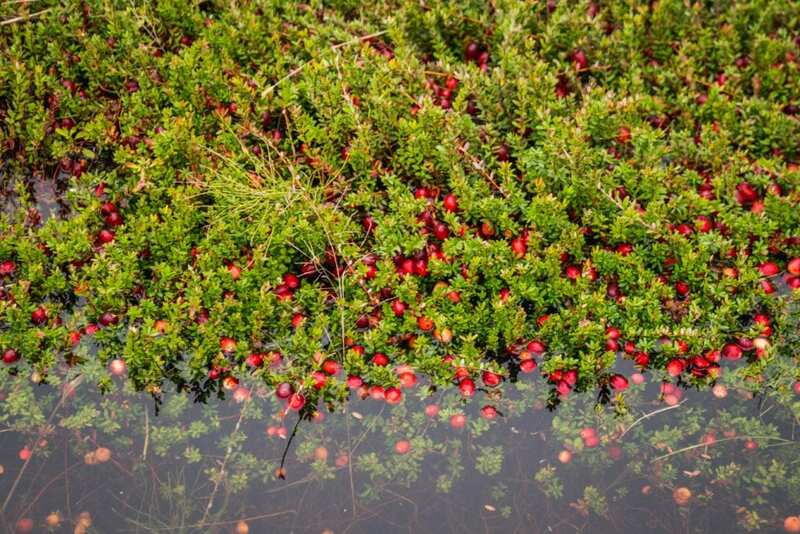 I mean, it’s not every day you think “I’m going to put on waders and jump in with the cranberries!” I was really surprised at how buoyant the water felt and how delicious the cranberries were right out of the water (they taste like a tart apple!). It was also really interesting to hear from the growers who work there about how they harvest and the pride they take in this profession. One of the biggest reasons why I love Carmex, and why I love working with them, is because they really believe in helping people feel their best. I know, it may seem like it’s just lip balm. But I say this over and over again – pay attention to whatever helps you feel your best! 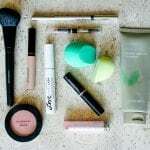 Even if it’s something simple like a face mask or a pretty dress or putting on Carmex so you don’t get chapped lips! Don’t laugh, it’s true! Little things can contribute to how we feel about ourselves and how we go about the world. So beyond learning about the product, we also got to work our bodies and minds, starting with a yoga class! After my most recent yoga class left me a little deflated, this class was EXACTLY what I needed. The teacher was the loveliest, and after class we realized that she now works with two of my favorite teachers from CorePower Yoga Old Town a few years ago (Ashley and Greg!). 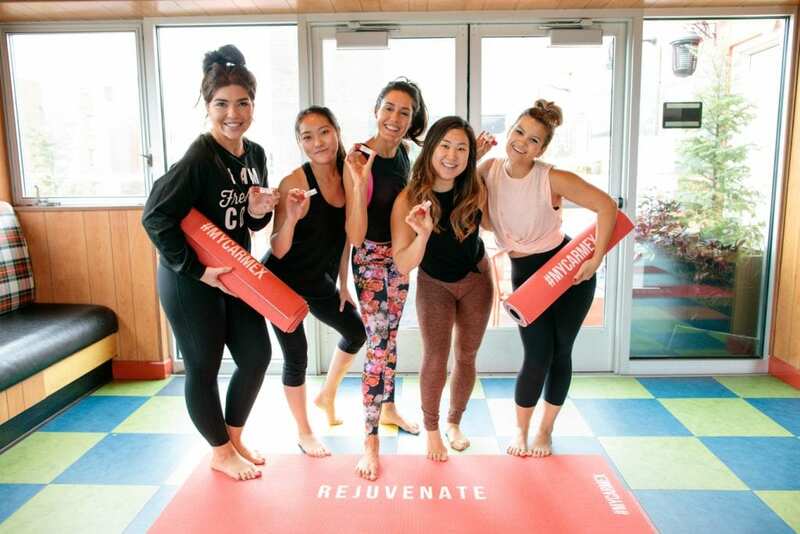 It was such a great reminder that we all resonate with different teachers and styles, and even though it can ebb and flow, there will always be a place for you on the mat. Couldn’t believe I could still lift myself up into 8 angle pose! And on one forearm, too! Still got it, I guess ? I also just want to take a quick moment to shout out the gals on the trip with me! 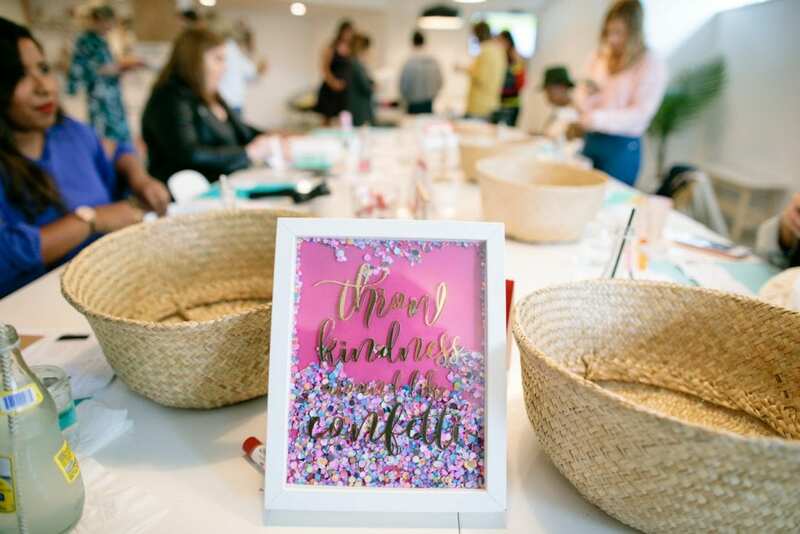 As I talked about on this Mindful Monday post, it’s always a little scary showing up to events by yourself, especially when it involves traveling. But this group was so fun, supportive, and all around lovely. 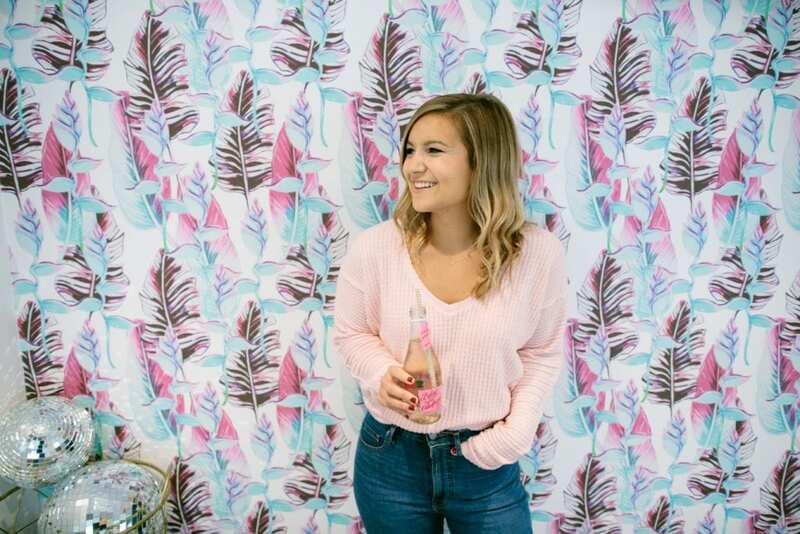 Minna is from NYC and along with blogging, runs her very own food company, Live24K. Madison is from Houston and knows everything there is to know about beauty (and she’s hilarious!). Christine is also from NYC and is the most colorful human I’ve ever met. 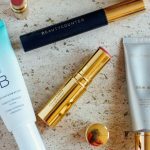 Seriously, her feed is like a rainbow – obsessed! 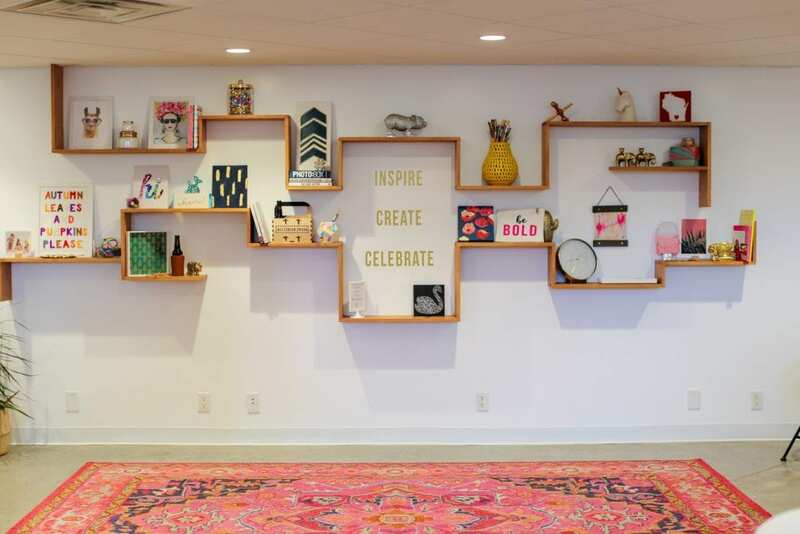 And Stephanie, our last NYC gal, blogs and is the co-founder of Mount Lai. Quite the crew, right?! 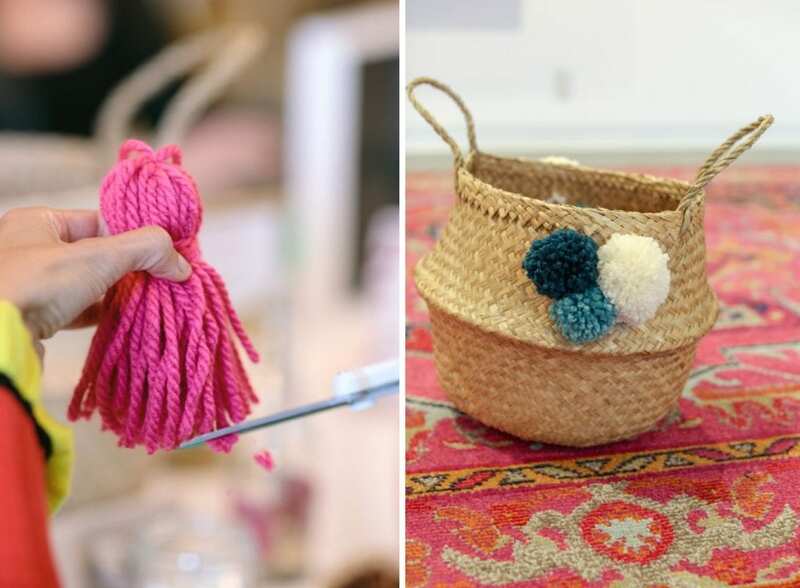 After yoga, we made our way to a crafting event at Revel in Madison. Since Paul, the President of the company, is an artist and used to be an art teacher, he really believes in the power of creativity. 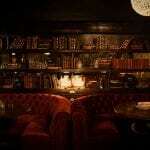 And holy moly, this was the cutest place EVER. Highly recommend if you’ll be in Madison! They had a ton of different projects to choose from, but I made this cute basket for our new apartment. So adorable, right?! All in all, I feel so lucky that I got to be a part of this experience. A big thank you to Carmex, the PR team, and the other girls on the trip for making work so FUN! 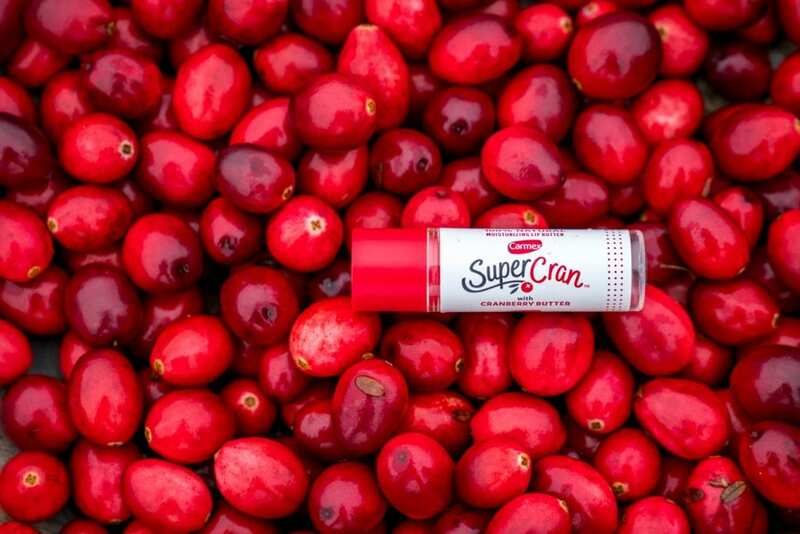 And seriously, look for Carmex SuperCran Lip Butter at CVS, Walgreens, Meijer, RiteAid and more stores this Fall. It’s only $3.99 and I promise, you won’t want to be without it all winter long! PS. Have you read When Was The Last Time You Left Your Comfort Zone?